FALL IN LOVE WITH THIS WONDERFUL 3 BEDROOM, 1.5 BATHROOM HOME IN THE CITY ON A MASSIVE CORNER LOT! This home is absolutely one of a kind and you won't see anything on the market like it. The interior features beautiful laminate flooring in the main living areas with soft carpet in the spacious bedrooms. The kitchen will be loved by any chef and includes a grand amount of cabinet space, a kitchen island cart and a view of your lovely back yard. Entertain your guests with plenty of room in your living and family room. The bathrooms offer a spa-like vibe and are situated right off of the bedrooms and the living room. Enjoy a cup of coffee on those cool Florida evenings on your front porch under sprawling oak trees. This home is situated on a corner lot in the city and also includes 2 sheds and privacy fencing around most of the property. Location is one of the main stars of this property. 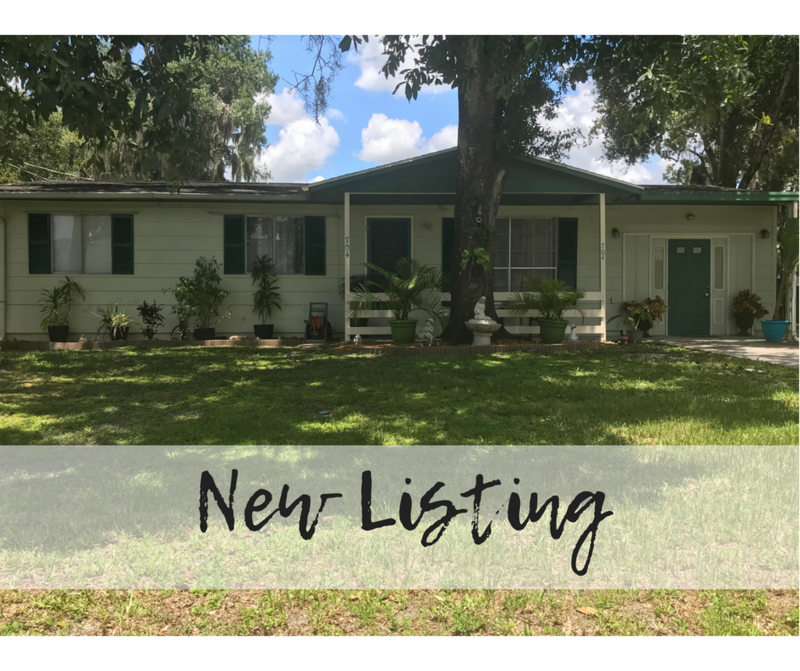 Nestled close to local schools, restaurants, and the best antique shopping around, you will not want to miss this home especially when it is priced at $120,000!